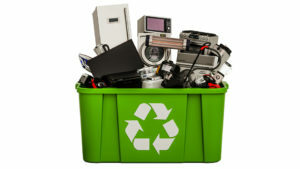 With e-waste emerging a major issue in cities across Odisha, the Bhubaneswar Municipal Corporation (BMC) has launched a clean e-waste Bhubaneshwar initiative which will be introduced by the state Urban Development Department in other major cities of the state as well. It is learnt that the project is a collaborative effort between the local government bodies – BMC, Odisha State Pollution Control Board, IT Department and private sector to disseminate awareness and build an inclusive structure for e-waste management. Speaking at a workshop that marked one-year of ‘Clean e-Bhubaneswar’ programme, State Chief Secretary AP Padhi said the Housing and Urban Development Department must develop a comprehensive approach while introducing the project across the length and breadth of the state. Also present at the occasion was the Ambassador of European Union to India Tomasz Kozlowski, who said that the impressive growth by Bhubaneshwar in managing e-waste, e-vehicles, rooftop solar was impeccable. While highlighting the performance of the programme, BMC Deputy Commissioner Srimanta Mishra said that under the project 9 tonnes of e-waste from over 60 entities was collected and sent to certified formal recyclers through Producer Responsibility Organizations (PROs). Over the past year, the clean e-Bhubaneswar initiative has executed 74 awareness activities across the city and has conducted door-to-door awareness programme.